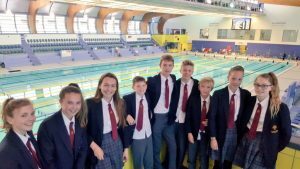 St Thomas More recently attended a swimming gala in Sunderland. 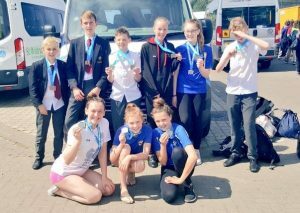 Many other schools competed, including many with competitive swimmers and some private schools with their own swimming pools for training. Despite all of this, St Thomas More came out with four bronze medals. It was a great accomplishment to achieve what we did, setting school records and personal bests. Congratulations to everyone who competed, you were all fantastic.